T293 is pleased to present Register, Tris Vonna-Michell’s fourth exhibition at the gallery. 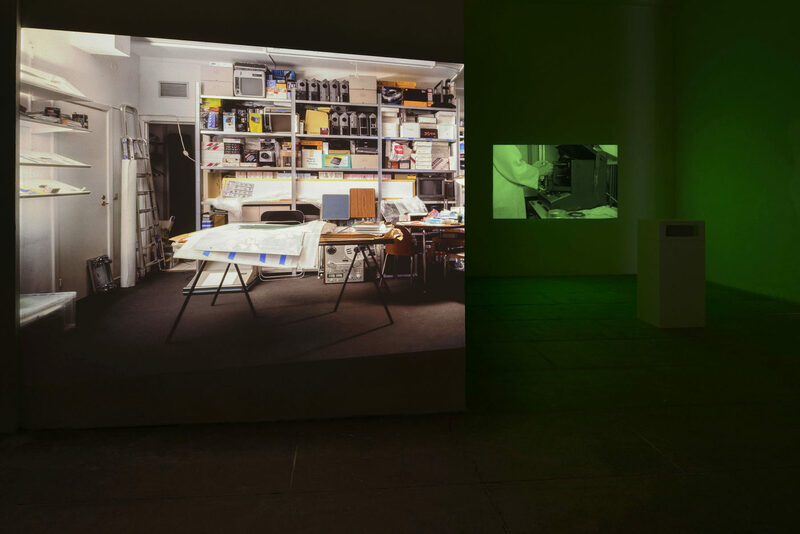 The exhibition consists of new and recent audio and video works, re-assembled and displayed site-specifically in relation to the architectural features of the gallery space. 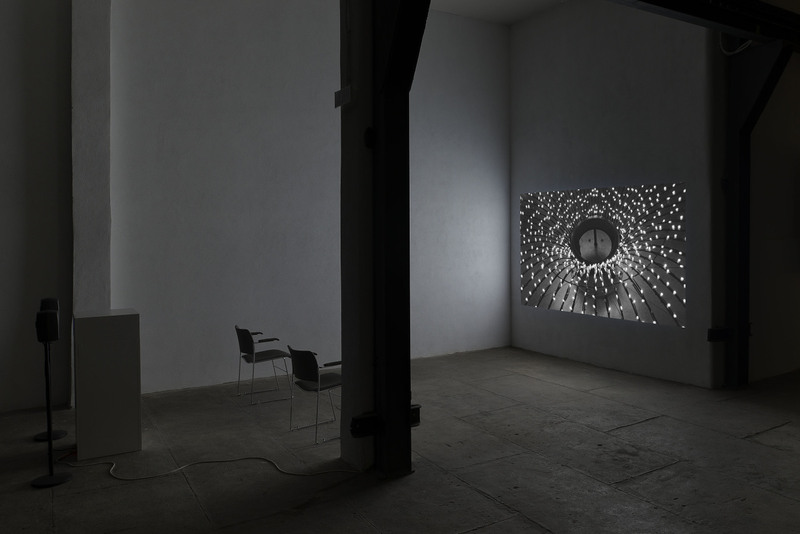 Shown at the entrance of the gallery as a prelude to the exhibition, Punctuations and Perforations (2016) is a newly composed dual projection installation. 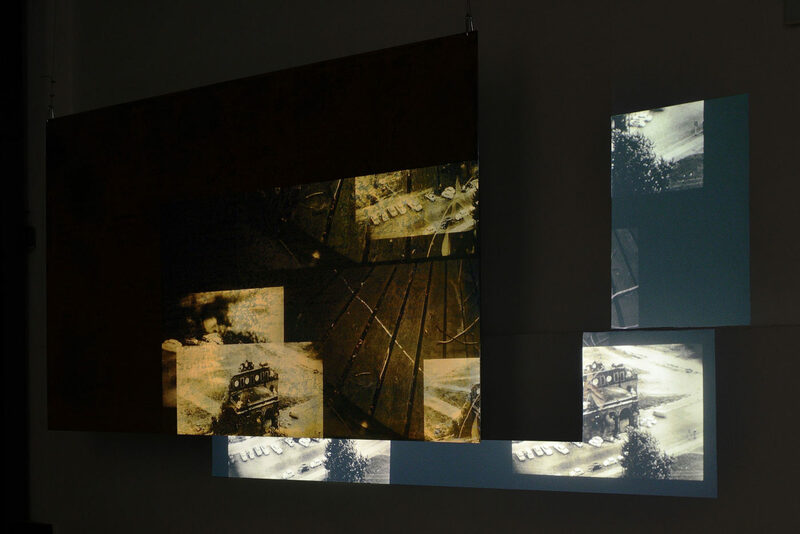 A large slide projection is displayed onto a specific corner of the gallery, distorting the static medium format photograph. 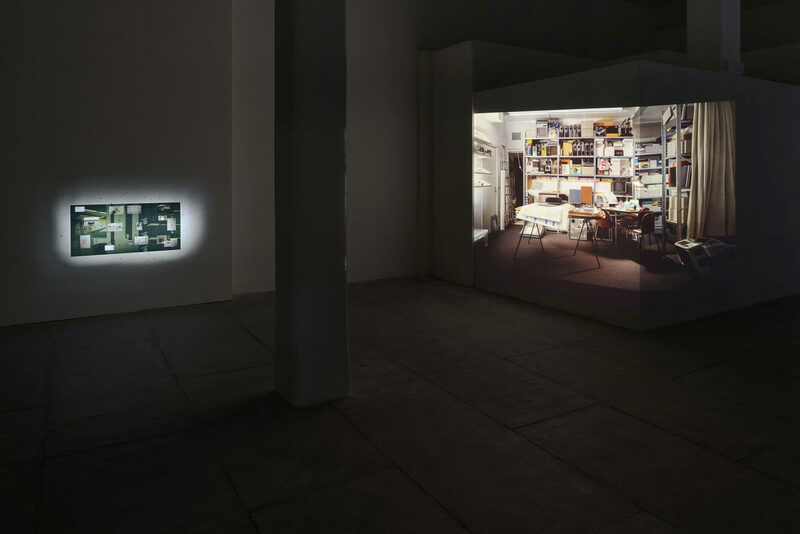 Shooting in full aperture a wall of his studio, the artist has captured a series of artefacts to compose a patchwork of the photographic and material processes that nurture his practice. 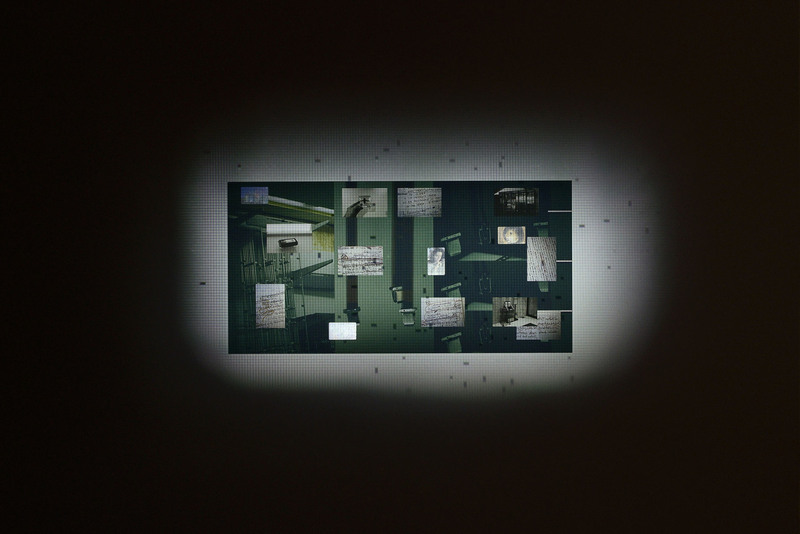 Not one, but many of the works the artist has been working on recently are embedded into this montage, a record of his material process and daily practice. 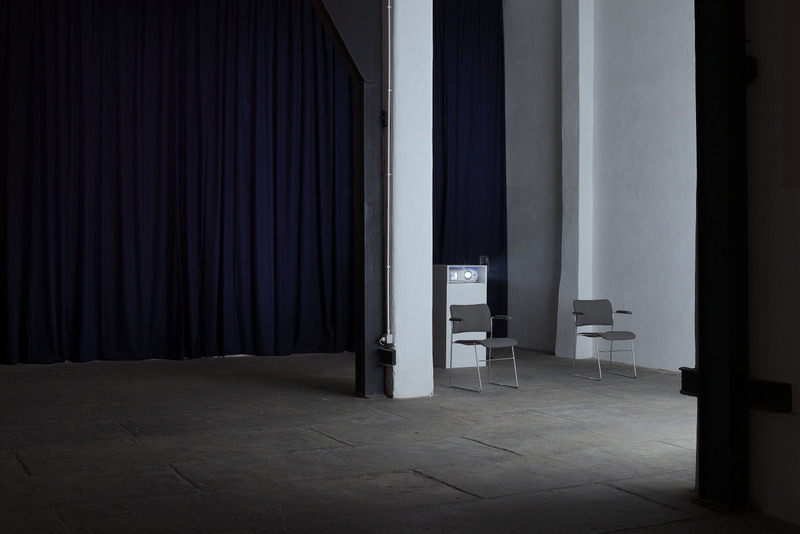 The hyper-real aesthetic of this work emphasises this temporal dimension that is always present in Vonna-Michell’s works and performances, hence the depiction of the specific time the image was made (3:54). In conjunction with the slide installation, a new HD video is presented adjacent to the slide projection. Shot on 16 mm and digitalised, the work is a quasi-documentary film following the steps for duplication and processing of slides occurring in a shed-sized laboratory. 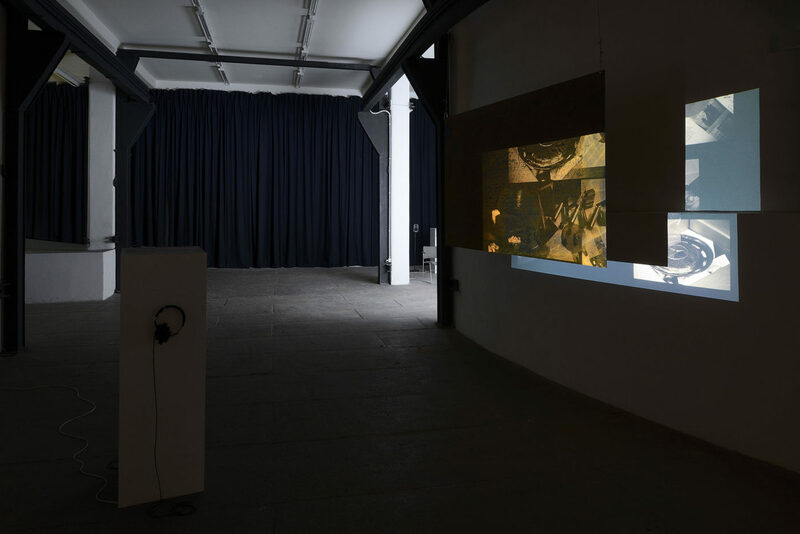 It accompanies the slide projection by offering moving images of the temporal chain of gestures composing a daily practice. However, there is no synchronisation between the two projections, nor spoken word. 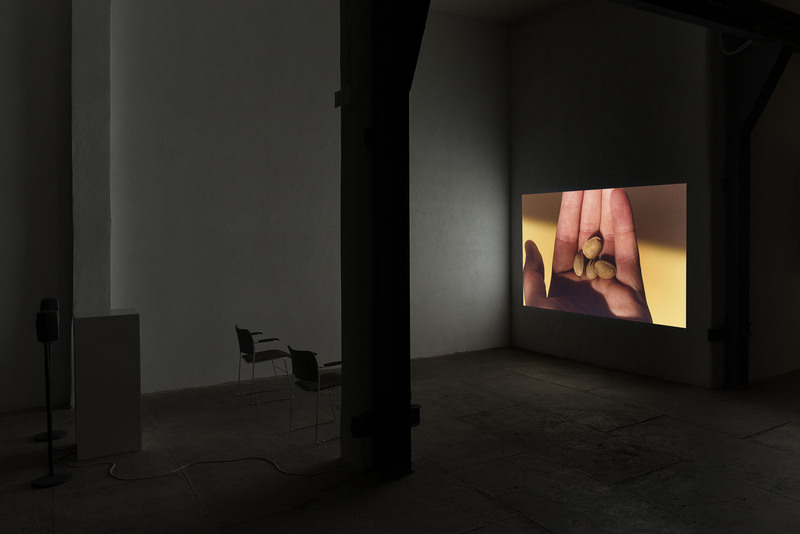 The film´s soundtrack is primarily noises produced by the hands of the subject constantly touching and re-touching slides, apparatus and mechanical devises. 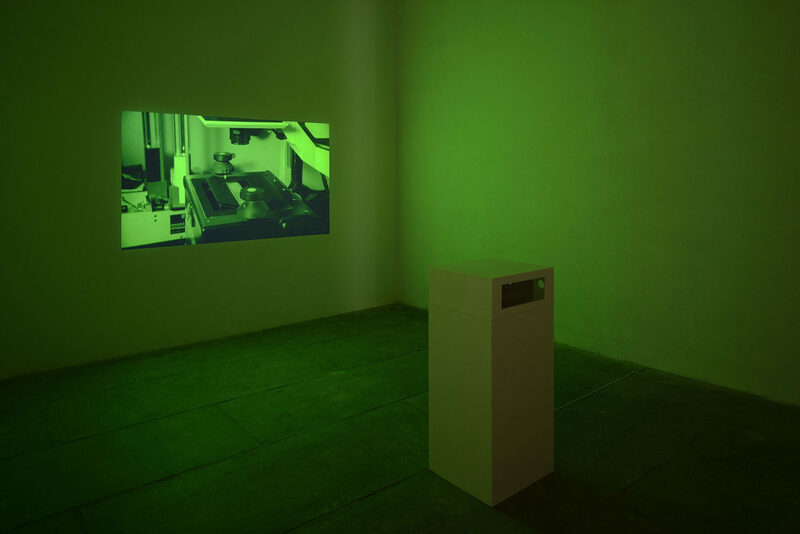 Postscript III-V (Berlin) (2016), is an HD video installation investigating the artist’s and his family’s stories within the context of the history of Berlin. The narration starts in the present, with the artist stating: “There are many objects that belong to this story. I was at the studio today in order to find them..” However, from that moment on many stories and narrations converge into the artist’s spoken word, in which many belong to a far and speculative past. 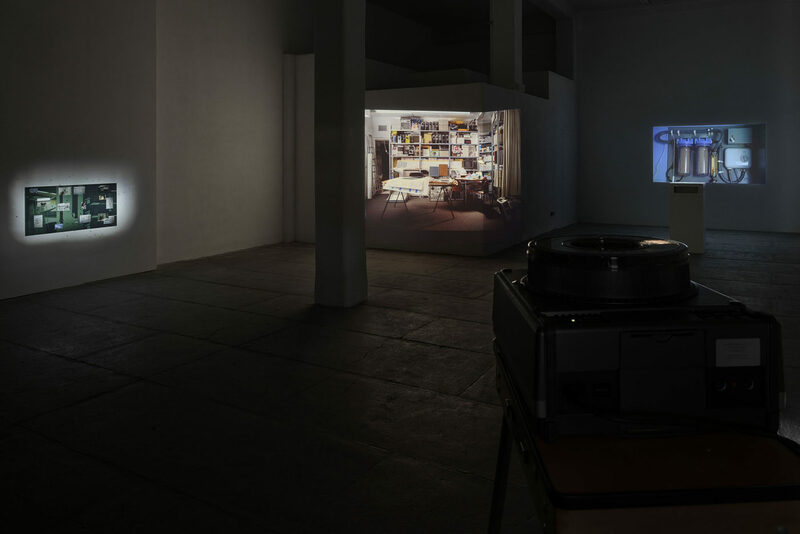 In a similar construct, the video evolves through the montage of 3 versions of the original slide installation (Postscript III-V (Berlin)), all projected simultaneously in the artist’s studio. The content and rhythm of the original work remains the same, while the differences between the slide sequences becomes more apparent. 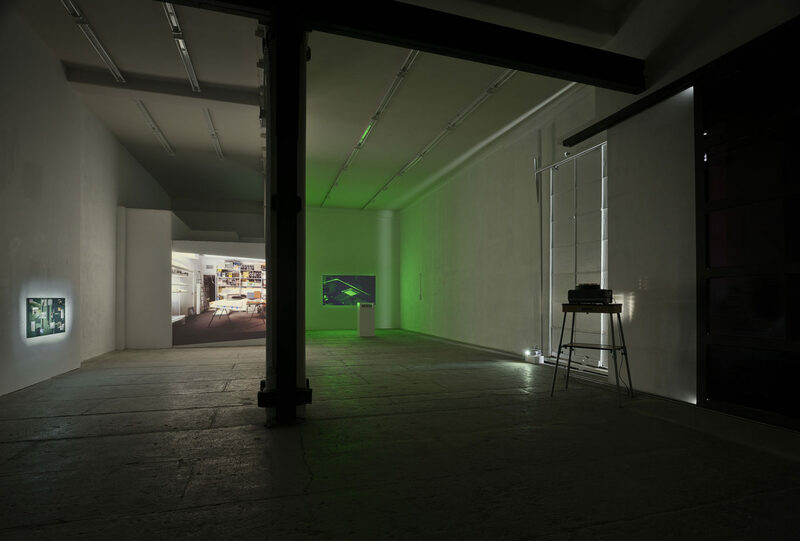 A work that crystallises the fluidity of the project, Register (2016) is a newly produced HD video projection, the third and last featured in the exhibition. It consists of an animated sequence of slides taken during a trip to Japan made by the artist in 2008. All the slides were taken in transient spaces like underpasses, viaducts, stations and docks, and re-assembled into an anachronistic narrative which forces the viewer to move constantly backward and forward in time. The soundtrack that accompanies the film is the result of a montage of musical compositions by Antwerp-based artist/musician Jan Matthé and field-recordings made by Vonna-Michell of consumer and transitory life in Japan. 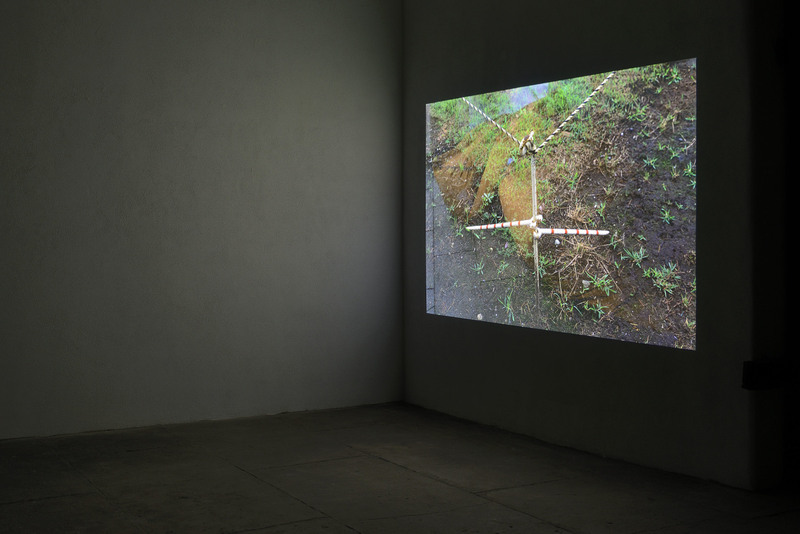 Combining the presentness of the environment imbued in the field-recordings with the artist’s post-reflection in the form of image selection and montage, the soundtrack further exposes the poetic and profound simplicity of the slides. 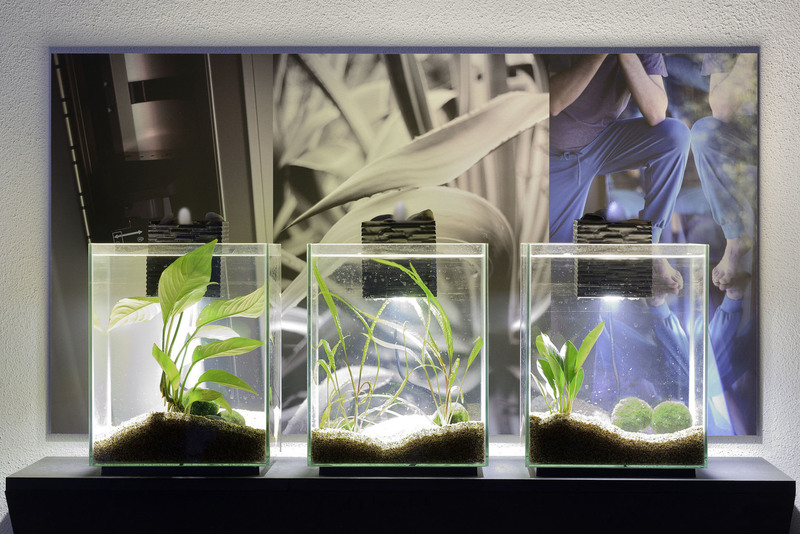 The slides are animated by the artist, who places them on lightbox surfaces as well as projects them through water. 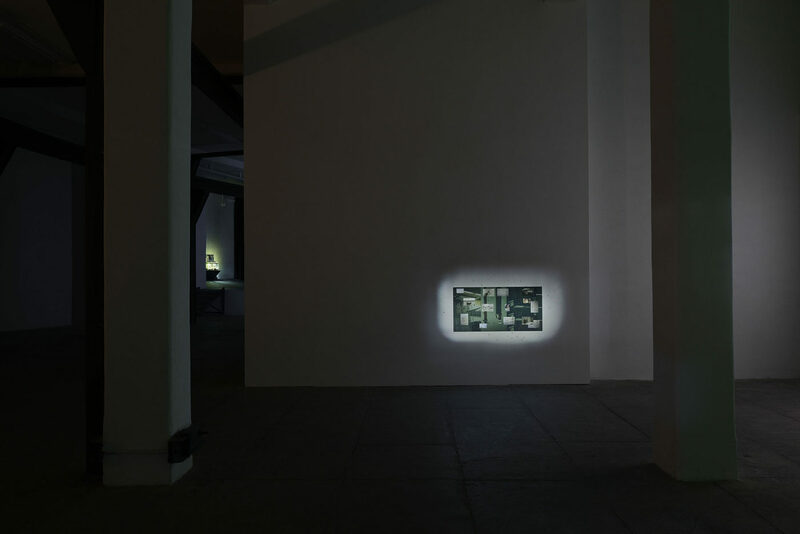 The aquatic element is a filter, whereby images emerge by manually agitating translucent sheets of paper to capture and refract the projected images. The projecting, enlarging and orchestration of imagery by analogue and tactile means is combined with digital means of re-animation. Installed site-specifically in a peculiar corner of the gallery, Recording (2016) is an aquatic print montage installation. 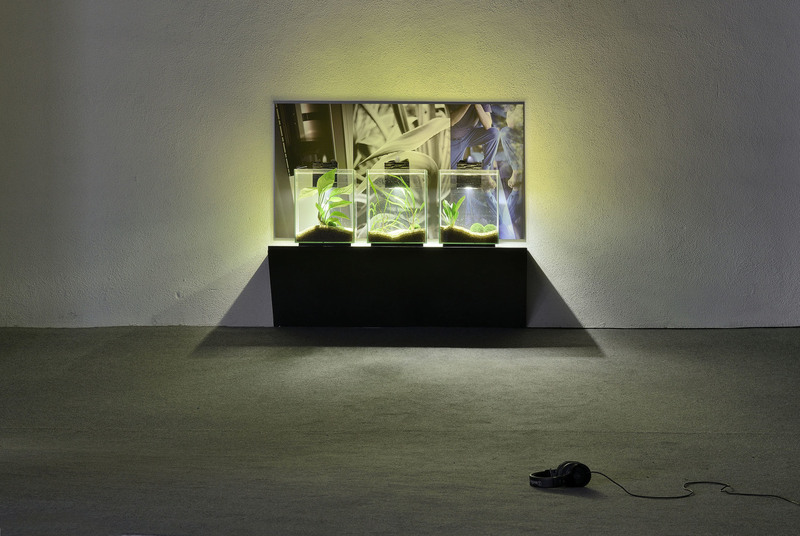 Resulting from a reworking of another recently produced aquatic print installation, this work marks the end of an exhibition whose meanings remain fluid and open-ended, evolving relentlessly in the context of a self-reflective practice such as Vonna-Michell’s. Indeed, the interconnections among the works in the show are subtle and not essentially meant to be mediated; yet they allow the drawing up of an exhibition that doesn’t want to be a mere display of the artist’s work, rather unfolding around multiple processes and reflections of the artist’s photographic universe.